Last week I attended the Hobbycraft Christmas preview. I loved getting a sneak preview of the new Christmas products and hearing about some fabulous new lines for Gruffalo and Peppa Pig fans. 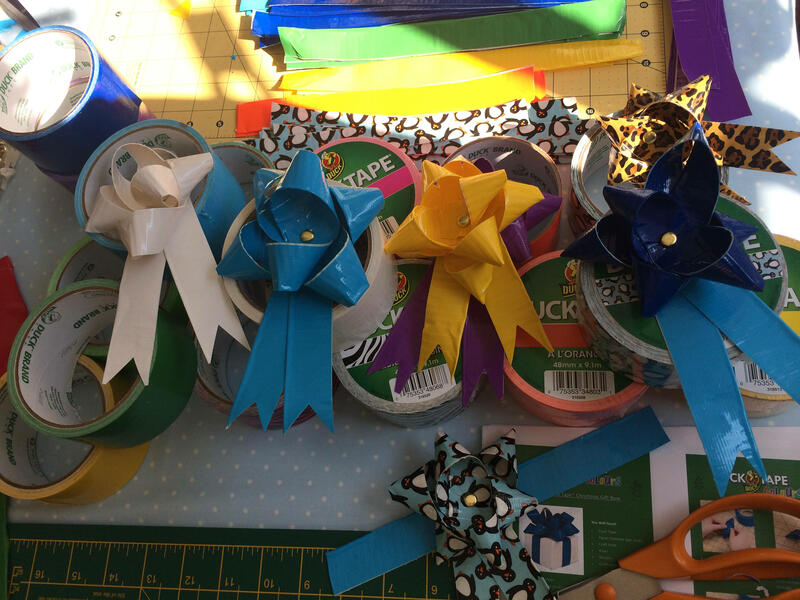 They had a couple of crafts set up which you could try and I was able to try my hand at making Duck Tape bows. Hobbycraft sell Duck Tape in all colours and prints and it’s a really versatile craft material. You can make a bow in seconds from a couple of pieces of duck tape folded in half and a split pin. I had so much fun I wanted to see what else could be made from Duck Tape. I was a bit confused about the brand name (duck or duct) but apparently it was manufactured by Johnson & Johnson during the Second World War and named Duck Tape due to it’s ability to repel water. It was later used to hold ducts together so was later known as duct tape. 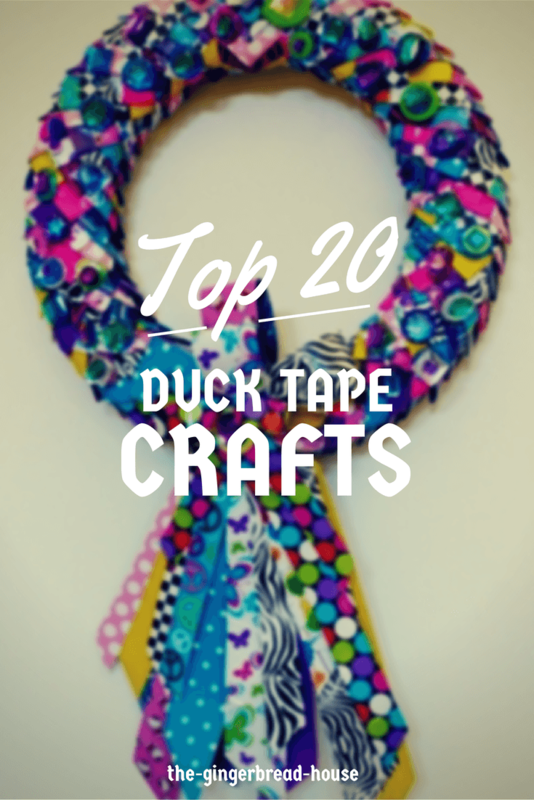 Here is a list of my top 20 Duck Tape crafts which includes kids crafts, handmade gifts and decoration ideas. I picked up some colourful rolls at my local Hobbycraft so I can’t wait to get started! Love it, perfect for my Minnie-mad 2 year old! Apparently it’s going to be the new washi tape, who knows?! I didn’t know that you could get Duck tape in different colours – and didn’t think of using it for crafting either. What an interesting range of ideas. These are really cool crafts! And duck tape is a very versatile material for anything. Ooh, I’ll have to check them out – I’m inspired! What wonderful duck tape creations! Thanks for some great ideas – will definitely give these a go! We reviewed the leopard duck tape last year and loved it! Wish I had seen some of these ideas though, they’re brilliant! You can craft with duck tape? Well I never! I’ve always been amazed at the beautiful things that can be made with duck tape. My sister can make pens and wallets…just amazing!